Regardless of the size of your business, one of the most important responsibilities is making sure you aren’t wastefully spending money. If you are, you can be certain your business won’t succeed. In fact, poor financial management is one of the main culprits in business failures. SmallBizTrends.com released an infographic which asserted that 30% of businesses are continually losing money. If you don’t want that to happen to your business, then it’s imperative that you know where money is coming in from, how much you’re spending each month and ways to cut the fat. These eight apps can help you accomplish all of these tasks.. If you haven’t taken advantage of this incredible file storage and synchronization service from Google, then you’re definitely doing yourself and your company a disservice. Google Drive allows businesses to create, collaborate and share files like Word documents and spreadsheets with team members quickly, conveniently and for free. However, if you need unlimited storage, you’ll have to pay $10 a month per user. Google Drive also comes with an email address, calendar and Hangouts so you can communicate with your team while keeping them and yourself organized at the same time. Google Drive can also be accessed from any device you own (Mac, PC, Android or iOS device, etc.). Ultimately, Google Drive is one of the best ways to increase workflow within your business while not having to spend a fortune. 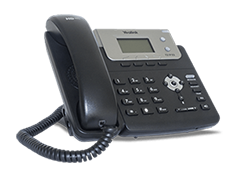 Want a SMB phone system for your office for a fraction of the cost? For just $19.95 per month, Ooma Office provides features like a virtual receptionist, extension dialing, music on hold, call transfer, virtual tax and conferencing. You can make unlimited calls to anyone residing in the U.S. and Canada, and use the Ooma Office mobile app to make or accept calls on your Android or iOS device. 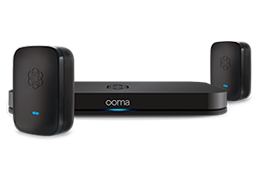 Since Ooma is so easy to set up, you can install the system yourself in just a matter of minutes — which means you don’t have to worry about bringing in a technician or being charged an for installation fee. Warning: If you start using Slack, don’t plan on ever going back to email or any other communication channel you’ve used in the past. It’s just that good and effective. Slack, for those who aren’t aware, is a cloud-based collaboration tool that includes chat rooms dedicated to specific topics, private or group direct messaging, group calls and file storage. Slack has mobile apps for iOS, Android and Windows Phone users so you can communicate with everyone on your team anytime, anywhere in the world. This messaging app is free, but if you need to upgrade, plans start at just $6.67 per user per month. Sometimes you and your team need to have a collaboration tool to keep everyone on the same page, as well as assign tasks and monitor the progress of tasks. While there are a lot of project management tools out there, Trello is one of the more efficient options thanks to its use of boards. This makes the tool highly visual so you can easily see on a board the status of projects or any other updates. Information is updated in real time, and team members can receive notifications so no one will miss anything important. Trello also integrates with Google Drive, Box and Dropbox. There is a free version, but for more robust business features, monthly plans start at $8.33. Are you having a tough time creating and sticking to a budget? Then Mint is definitely a tool you need to check out. You start by inputting all your financial information, such as monthly expenses and daily spending. With this information, Mint helps you create budgets so you’re aware of where your money is going and provides advice on how to keep your finances in order. You can also automate payments and receive alerts whenever there’s any suspicious activity in your accounts. With the mobile app, you can manage your money no matter where you are. Believe it or not, you get all of this for free. If you have fewer than 10 employees and are on a tight budget, then Wave was designed specifically for you. This easy-to-use software allows you to handle everything from invoicing to payroll, receipt scanning and expense tracking. Wave also connects with PayPal and your bank account, and it offers a useful tool to find accountants in your area. Wave is 100% free, but you can add premium services like payroll or expert help for $19 per month. Do you know how long it takes your team to complete a project? If not, your business could be losing a lot of money. For example, if projects or tasks are taking too long to complete, it may not be worth it to continue. Toggl can also help you determine when you or your employees are wasting time and leverage that data to boost your productivity. Here’s how it works: With just one click, you track every second of your and your employees’ workdays. You can then analyze that information and view it on graphs so you can see where the billable areas are for a client or project. Divide your employees into various departments and compare productivity so you can award your Employee of the Week. Following a 30-day free trial, Toggl offer plans at $9, $18 or $49 per month. “One of my favorite ‘work from home’ productivity hacks comes with the help of an app called StayFocusd,” says Lori Cheek, founder and CEO of Cheekd. What apps has your business used to save money?